No doubt, Ahmet Davutoğlu the human being is an honest, hard-working and modest man of academia. 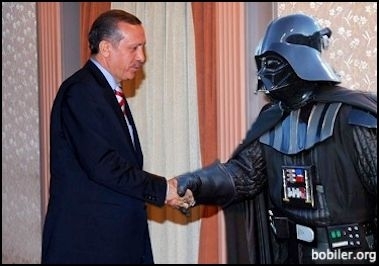 There are increasing signs that his struggle as head of the Turkish executive will not be against, as he mysteriously puts it, "those [enemies] who envy Turkey's success story in the last 12 years." In reality, Mr. Davutoğlu's inner struggle is probably against Prime Minister Ahmet Davutoğlu. On Oct. 17, Davutoğlu the fair-minded human being said the system of paid exemption from military service would be halted because it was unfair. "[We cannot allow a system] where the poor boy is drafted and the son of the rich man is exempted because he can pay for it," Davutoğlu the human being said. 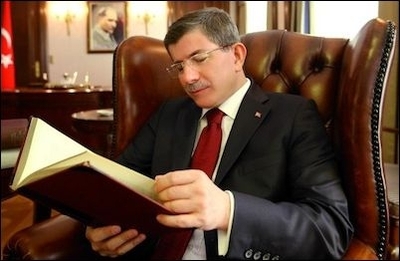 On Nov. 15, Davutoğlu the prime minister said: "There is significant demand for paid exemption [from conscription]. We are assessing the situation in view of producing a solution for the hundreds of thousands of citizens who have past beyond the practicable age of conscription." What may have happened in a span of 28 days that caused Mr. Davutoğlu to transform into Prime Minister Davutoğlu? What may have made him swallow his powerful words on what is fair and what is not, in terms of paid exemption from military service? In all likelihood someone who is more powerful than Mr. Davutoğlu must have reminded him that as prime minister and party leader he does not have the luxury of pursuing fairness and other virtues in the run up to crucial parliamentary elections next June. Prime Minister Davutoğlu's speech leaves little doubt that, in his words, there will be injustice as poorer Turks will hit the road for barracks and take up arms while their richer peers will enjoy life. It is quite customary for Turkish adults to ask their friends where they did their military service. Those who were drafted to hard posts (including this columnist) often tease others who served in coastal or relatively comfortable garrisons. Now, a new class of young men will possibly emerge to be teased even by the "holiday soldiers of coastal Turkey." "Where did you do your service?" "In Bingol, at the peak of the war." "In Izmir, I was lucky." "Well, that's the bank where my father paid for my exemption." This columnist has no doubt that Mr. Davutoğlu was perfectly sincere when he said it would be unfair if rich young men enjoyed the finer things of life while the poorer were defending the homeland, just because their fathers cannot afford to save the unlucky kids from the torments of conscription. This columnist has no doubt, either, that Davutoğlu the prime minister hated having to make a U-turn from his heroic speech on conscription. How does Mr. Davutoğlu justify having to behave like Prime Minister Davutoğlu? Psychology tells us he does it by zigzagging between a "particularistic/human" and a "Macchiavellian/pragmatic" approach and finally opting for the latter: "I am a gift for the advancement of Turkey. To further advance my goals I must remain the prime minister. To remain the prime minister I must ignore relatively minor practices that both ethically and religiously go against my other self, Davutoğlu the human being. After all, what my beloved country will gain from my premiership will be immeasurably more than a few things going wrong or unfair." Fine. But then he must endure the inner torments of sincerely declaring war against public extravaganza one day, and signing papers the next day for his boss's $800 million bill for a palace and a new jet. He must endure shy smiles from heads of state and their ambassadors to Ankara when he boasts that Turkey's G-20 term presidency comes during a year when the club has committed to fight corruption, possibly recalling what December 2013 unveiled and how it was covered. One may or may not appreciate Prime Minister Davutoğlu's regional/global ambitions and polity. But one may not dislike Mr. Davutoğlu the unlucky man of a losing war. Turkey would have been a much better place to live in if Mr. Davutoğlu had defeated Prime Minister Davutoğlu.